At Electronic Shooters Protection, our primary goal is to protect your hearing. Unfortunately, there are a lot of rumors and myths about hearing loss that many people believe to be true. Knowing how to best protect your hearing means that you need to know the difference between what actually causes hearing loss and what is just a misconception. Hearing loss comes with age and there is nothing you can do about it – not true! While age causes some hearing problems, hearing aids can help minimize and reverse these losses for more than 95 percent of patients. While a bit of variability in hearing can be expected even from day to day, you should not wait to get help if a loss persists. 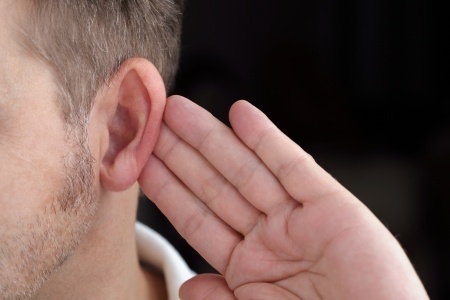 If you feel your hearing is not as good as it should be, see a specialist immediately. The longer you wait, the harder it may be to fix the issue. Talking louder does not help people with hearing loss. In fact, shouting distorts the mouth, meaning that if the person trying to communicate with you is relying on lip reading, they’ll have an even more difficult time understanding you. Primary doctors are a great first line of defense and can handle many routing and day-to-day medical needs, but they do not always provide adequate hearing tests and haven’t been extensively trained in auditory health. If you’re suffering a hearing loss, request an appointment with a specialist. An extra doctor visit is better than a misdiagnosis. Hearing loss may be most noticeable in the elderly, but 65 percent of those with hearing loss are younger than 65, and 60 percent of individuals with impaired hearing are still in school or the workplace. Hearing aids are probably the most common way to help improve hearing, but they are not the only option. A personal sound amplification program, or PSAP, can help hearing as well, and often costs only the fraction of the price of a hearing aid. Of course, the best way to avoid having to navigate the myths of hearing loss is to avoid hearing loss altogether. At Electronic Shooters Protection, we offer a variety of products that can help at times when you may be exposed to short duration loud noises, such as shooting at the range or working with heavy machinery. To learn more, take a look through our online store now, or call us at 303-659-8844 to discuss your different options with one of our friendly representatives today.